Alexander Mikhailovich Orlov (Russian: Александр Михайлович Орлов) (born Leiba Lazarevich Feldbin; 21 August 1895 – 25 March 1973), was a Colonel in the Soviet secret police and NKVD Rezident in the Second Spanish Republic. In 1938, Orlov refused to return to the Soviet Union because he realized that he would be executed, and instead fled with his family to the United States. He is known mostly for secretly transporting the entire gold reserve of the Spanish Republic to the USSR and for his book, The Secret History of Stalin's Crimes. Throughout his career, Orlov was also known under the names of Lev Lazarevich Nikolsky, Lev Leonidovich Nikolaev, SCHWED (his OGPU/NKVD code name), Leo Feldbiene (as in his Austrian passport), William Goldin (as in his US passport), Koornick (the name of his Jewish relatives living in the US). Travelling in the United States, he often registered under the names of Alexander L. Berg and Igor Berg. He was born Lev Lazarevich Feldbin in the Belarusian town of Babruysk on August 21, 1895, to an Orthodox Jewish family. He attended the Lazarevsky Institute in Moscow but left it after two semesters to enroll at Moscow University to study law. His study, however, was cut short when he was drafted into the Imperial Russian Army. When the Russian Civil War erupted in 1918, Orlov joined the Red Army and became a GRU officer assigned to the region around Kiev, Ukraine. Orlov personally led and directed sabotage missions into territory controlled by the anti-communist White Movement. He later served with the OGPU Border Guards in Arkhangelsk. In 1921, he retired from the Red Army and returned to Moscow to resume his study of law at the Law School at Moscow University. Orlov worked for several years at the Bolshevik High Tribunal under the tutelage of Nikolai Krylenko. In May 1924, his cousin, Zinoviy Katznelson, who was chief of the OGPU Economic Department (EKU), invited Lev Nikolsky (his official name since 1920) to join the Soviet secret police as an officer of Financial Section 6. When his cousin was moved to supervise the Transcaucasian Border Troops of the OGPU, he offered to Nikolsky and his wife the opportunity to move to Tiflis (now Tbilisi, Georgia) as chief of the Border Guard unit there, which he accepted. There, their daughter contracted a rheumatic fever infection, and Orlov asked his friend and former colleague, Artur Artuzov, to give him an assignment abroad so that Orlov could have European doctors treat his daughter. Therefore, in 1926, he was transferred to the Inostranny Otdel (Foreign Department), the branch of the OGPU responsible for overseas intelligence operations, now headed by Artuzov. He was sent to Paris under a legal cover of a Soviet Trade Delegation official. After one year in France, Nikolsky, who operated on a fraudulent Soviet passport in the name of Léon Nikolaeff, was transferred to a similar position to Berlin. He returned to Moscow in late 1930. Two years later, he was sent to the United States to establish relations with his relatives there and to obtain a genuine American passport that would allow free travel in Europe. "Leon L. Nikolaev" (Nikolsky-Orlov) arrived in the US aboard the SS Europa on 22 September 1932 and sailed from Bremen. After being identified as a spy by the US Office of Naval Intelligence, Orlov obtained a passport[how?] in the name of William Goldin and departed on 30 November 1932 on the SS Bremen back to Weimar Germany. In Moscow, he successfully again asked for a foreign assignment, as he wanted his sick daughter to be treated by Dr. Karl Noorden in Vienna. Together with his wife and daughter he arrived in Vienna in May 1933 (as Nikolaev) and settled in Hinterbrühl only 30 km away from the capital. After three months, he went to Prague, changed his Soviet passport for the American one, and left for Geneva. Nikolsky's group, which operated against the French Deuxième Bureau, included Alexander Korotkov, a young Illegal Rezident (spy without official cover); Korotkov's wife, Maria; and a courier, Arnold Finkelberg. Their operation, codenamed EXPRESS, was unsuccessful, and in May 1934, he joined his family in Vienna and was ordered to go to Copenhagen to serve as assistant to rezidents Theodore Maly (Paris) and Ignace Reiss (Copenhagen). In June 1935, under William Goldin, he himself became a rezident in London. His cover in London, as Goldin, was as a director of an American refrigerator company. Despite Orlov's later claims, he had nothing to do with the recruitment of Kim Philby or any other member of the Cambridge Five and deserted his post in October 1935, coming back to Moscow. Here he was dismissed from the Foreign Service and put into a lowly position of deputy chief of the Transport Department (TO) of the NKVD, the successor secret service organization to the OGPU. Stalin, Yezhov and Beria distrusted Soviet participants in the Spanish war. Military advisors like Vladimir Antonov-Ovseenko, journalists like Mikhail Koltsov were open to infection by the heresies, especially Leon Trotsky's, prevalent among the Republic's supporters. NKVD agents sent to Spain were therefore keener on abducting and murdering anti-Stalinists among Republican leaders and International Brigade commanders than on fighting Francisco Franco. The defeat of the Republic, in Stalin's eyes, was caused not by the NKVD's diversionary efforts but by the treachery of the heretics. Orlov arrived in Madrid on 15 September 1936. He organized guerrilla warfare behind Nationalist lines, as he had done in Ukraine during the Russian Civil War, but after his defection to the West the work was later credited to his deputy, Grigory Syroezhkin, to avoid mention of the defected general. In October 1936, Orlov, according to his own disputed testimony, was placed in command of the operation which moved the Spanish gold reserves from Madrid to Moscow. The Republican government had agreed to use this hoard of bullion as an advance payment for Soviet military supplies. Orlov undertook the logistics of this transfer. It took four nights for truck convoys, driven by Soviet tankmen, to bring the 510 tonnes of gold from its hiding place in the mountains to the port of Cartagena. There, under threat of German bombing raids, it was loaded on four different Russian steamers bound for Odessa. The gold was conveyed to Moscow by special armored train. Once it was safely locked away Stalin threw a party and remarked, "The Spaniards will never see their gold again, just as one cannot see one's own ears". For his service, Orlov received the Order of Lenin. According to Boris Volodarsky's research, Orlov greatly exaggerated his role in this operation (e.g., by claiming he made it possible by negotiating the matter with the Spanish republican government), his mission being mostly logistical and a security one. 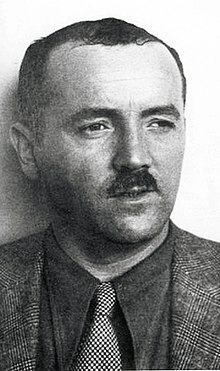 However, Orlov's main task in Spain remained arresting and executing Trotskyites, Anarchists, Roman Catholic supporters of Franco's Nationalists, and other suspected foes of the Spanish Republic. Documents released from the NKVD archives detail a number of Orlov's crimes in Spain. He was responsible for orchestrating the arrest and summary execution of members of the Workers' Party of Marxist Unification (POUM). He also directed the kidnapping and killing of the POUM leader Andreu Nin. [a]ll liquidations were planned and executed under Orlov's direction. After an apparent failure to mount some sort of intelligence-gathering operations, it seems that Orlov's main preoccupation was now witch-hunting. In other words, he became primarily engaged in the persecution of those who, for different reasons, were declared enemies by Stalin and Yezhov. Meanwhile, the Great Purge continued as Stalin and his inner circle sought to exterminate all suspected enemies of the people. Orlov was alerted as close associates and friends were arrested, tortured and shot, one by one. In 1938, Orlov realised that he would soon be next. When he received orders from Moscow to report to a Soviet ship in Antwerp, Orlov was certain that he was about to be arrested. Instead of obeying, Orlov fled with his wife and daughter to Canada. Before leaving Paris, Orlov left two letters for the Soviet Ambassador, one for Stalin and one for NKVD chief Yezhov. He told them that he would reveal everything he knew about NKVD operations if any action was taken against him or his family. In a two-page attachment, Orlov listed the codenames of numerous illegals and moles operating in the West. Orlov also sent a letter to Trotsky alerting him to the presence of the NKVD agent Mark Zborowski (codename TULIP) in the entourage of his son, Lev Sedov. Trotsky dismissed this letter as a provocation. Then, Orlov traveled with his family to the United States and went underground. The NKVD, presumably on orders from Stalin, did not try to locate him until 1969. After his defection in 1938, he was afraid of being killed like other NKVD defectors such as Ignace Reiss. Therefore, he wrote a letter to Stalin promising to keep all secrets he knew if Stalin spared him and his family. Orlov kept his word and published his memoir The Secret History of Stalin's Crimes only after the death of Stalin in March 1953, fifteen years after his own flight. After the publication of The Secret History, Orlov was forced to come in from the cold. Both the US Central Intelligence Agency and Federal Bureau of Investigation were embarrassed by the revelation that a high-ranking NKVD officer (Orlov was a Major of State Security, equal to an army colonel) had been living underground in the United States for 15 years without their knowledge. Until he resurfaced in the US with his revelations in the Life Magazine, Orlov had lived in the US under the name Alexander L. Berg. As the FBI was searching in vain for him and his wife, "two unidentified Russian aliens", he was studying business administration at Dyke College, Cleveland, Ohio. The College and the local FBI division were located in the same Standard Building on 1370 Ontario Street and St Clair Avenue, occupying the third and the ninth floors, respectively. Ironically, the FBI officers "never paid any attention to the mature student who had long figured on the FBI’s most wanted list and who rode the elevators with them every day." Orlov was interrogated by the FBI and twice appeared before Senate Sub-Committees, but he always downplayed his role in events and continued to conceal the names of Soviet agents in the West. In 1956, he wrote an article for Life Magazine, "The Sensational Secret Behind the Damnation of Stalin". This story held that NKVD agents had discovered papers in the tsarist archives which proved Stalin had once been an Okhrana agent and on the basis of this knowledge, the NKVD agents had planned a coup d'état with the leaders of the Red Army. Stalin, Orlov continued, uncovered the plot and this was his motive behind the secret trial and execution of Soviet Marshal Mikhail Tukhachevsky and the purge of the Red Army. The research of Simon Sebag Montefiore contradicts this theory, however. Orlov and his wife continued to live secretly and modestly in the United States. In 1963, the CIA helped him publish another book, The Handbook of Counter-Intelligence and Guerilla Warfare and helped him obtain a job as a researcher at the Law School of the University of Michigan. He moved to Cleveland, Ohio. His wife died there. He died on 25 March 1973. Orlov never wavered in his contempt for Stalin. His last book, The March of Time, was published in the US in 2004 by former FBI Special Agent Ed Gazur. ... most of what Orlov said, even under oath, or during his debriefing by the US intelligence officials, or in private discussions with his friend Gazur, has by now been established as outright invention. ^ a b Volodarsky, Boris. Stalin's agent : the life and death of Alexander Orlov. ISBN 9780199656585. OCLC 869343535. ^ Schwartz, Stephen (February 24, 2002). "In From the Cold". Retrieved July 7, 2016. ^ Donald Rayfield, Stalin and his Hangmen: The Tyrant and Those Who Killed for Him, Random House, 2004. Pages 362-363. ^ a b c d e f Costello J, Tsarev O (1993). Deadly Illusions: The KGB Orlov Dossier. Crown. ISBN 0-517-58850-1. ^ a b c Volodarsky, Boris. Stalin's agent : the life and death of Alexander Orlov. p. 240. ISBN 9780199656585. OCLC 869343535. ^ a b Gazur, Edward (2001). Alexander Orlov: The FBI's KGB General. New York: Carroll & Graf. ISBN 0786709715. ^ a b Faria, MA Jr. "The Astounding Case of Soviet Defection Deception". Archived from the original on 29 January 2013. Retrieved 16 September 2012. ^ Radzinsky, Edvard (1997). Stalin: The First In-depth Biography Based on Explosive New Documents from Russia's Secret Archives. Anchor. pp. 405–406. ISBN 0-385-47954-9. Retrieved 29 October 2018. ^ Orlov, Alexander (1953). The Secret History of Stalin's Crimes. Random House. Retrieved 29 October 2018. ^ Orlov, Alexander (6 April 1953). "Stalin's Secrets, Part I: Ghastly Secrets of Stalin's Power". LIFE: 110–123. Retrieved 29 October 2018. ^ Orlov, Alexander (13 April 1953). "Stalin's Secrets, Part II: Inside Story of How Trials Were Rigged". LIFE: 160–178. Retrieved 29 October 2018. ^ Orlov, Alexander (20 April 1953). "Stalin's Secrets, Part III: Treachery to His Friends, Cruelty to Their Children". LIFE: 143–159. Retrieved 29 October 2018. ^ Orlov, Alexander (27 April 1953). "Stalin's Secrets, Part IV: The Man Himself". LIFE: 145–158. Retrieved 29 October 2018. "The Retiring Spy" Times Literary Supplement, September 28, 2001. Alexander Orlov, The Secret History of Stalin's Crimes. Random House, 1953. Alexander Orlov, The Handbook of Intelligence and Guerrilla Warfare, Ann Arbor, University of Michigan Press, 1963. This page was last edited on 17 April 2019, at 10:29 (UTC).